Everyone thinks their diet or exercise program is ‘the right one’, till it no longer is… But yet we remain fascinated by “the Ideal weight” and “how to get it and maintain it”. It is a multi-billion dollar industry, and although it may seem that some get it right, it is never without effort. It remains hard work, takes extreme dedication and asks for utmost perseverance …till it becomes a lifestyle. If you ask 10 different people how they do it (keep their weight down), you get 10 answers…. Fact: .... You can lose all the weight you want! Fact: ..... Pick a diet and exercise plan that you can afford, and that you feel you can finish. 1…. Zone - This is perhaps the most popular diet in Hollywood. This diet was invented by Dr. Barry Sears. The philosophy is for every meal to have a 1:2:3 ratio. That is 1 gram fat for every 2 grams protein and 3 grams carbohydrate. It aims to control your hormones so as to limit your cravings. It comes pretty close to the American Dietetic Association's recommendations for a healthy diet, except the carbohydrate levels are lower and the protein level is higher. 2…. Atkins - This is one of the pioneers of the most popular celebrity diets. It works into turning your body more of a fat-burning machine than on wasting away carbs. High fiber foods are always in attendance in every package. 3…. Weight Watchers - This has passed the tests among high-profile talents. It’s tried and tested so more and more have been finding themselves getting into the program. The idea of this approach doesn’t limit to one area only, instead it extends to up to 4 aspects in life which can influence health. These are the person’s behavior, environment, food and exercise. 4…. Eat right for your type - Several bestsellers have been written about this. The creator, Dr. Peter D’Adamo is keen on customizing a diet for a certain blood type so a specific approach is always crucial..
5…. 3 hour diet - Hollywood has Jorge Cruise to be thankful for this amazing program. Crusaders of this program get to get more than their average 3 meal per day. The secret is to have smaller portions each time. What a great idea of slimming down yet not totally depriving yourself of what you want. 6…. The 5-Factor - This program is one of the popular celebrity diets and has received a lot of press. The program focuses on foods that give good nutrition without including calories. You feel less hungry, so are not as likely to binge as you would on other fad diets. It is better to eat smaller meals and snacks throughout the day than to gorge yourself on one big meal at the end of the day. 7…. The Master Cleanse - This is an extreme detoxification consisting of drinking a mixture of lemon juice, maple syrup (grade AA) with a pinch of cayenne pepper. On this cleanse, you don’t eat anything, but you can drink as much of this ‘elixir’ as you like. This can help you lose weight quickly, but (a friendly warning) as soon as you start eating, the weight will tend to come right back. This drink is recommended when you want to detox for a few days, however the developer of the diet also recommends staying on it for at least one week to a few months. Be careful! 8…. Martha's Vineyard Diet - This diet is also very popular amongst celebrities. It promises that you’ll lose 21 lbs. In 21 days through systemic detoxification. You can either go on a two day plan, a 7 day tune-up, or the full 21 day detox. The diet is the same for each level you choose. 9…. The Grapefruit Diet - This diet has been one of the most popular celebrity diets since the 1930’s. It is based on the premise that there is a nutrient in grapefruit that when eaten with protein can produce rapid weight loss. 10…. Jenny Craig - Many celebrities owe their curves to this one-one program. A more personal approach makes this diet different from all the others. You will be monitored on a certain period of time to allow you to fully adapt to the practice. Individuals will embark on a diet simply because they heard or read about a certain celebrity being on the diet. Let’s face it. Keeping a healthy diet plan (exercising and planned eating) also makes you feel good about yourself and gives your body the essentials that it needs. Being in the public eye, celebrities are given many reasons to keep in great shape and eat healthy. As role models in the media, what exactly are celebs doing to their diets? Do they have it easier? Here’s a little insight to some of Hollywood’s most fit female celebs health secrets. Use some of these tips and hey, perhaps you too can look red carpet worthy one day. 1…. Jessica Simpson - The latest word is that, the diet me Simpson used to prepare for her “Dukes of Hazard” movie, was the 5 factor diet. The 5 factor diet is the diet that's changing Hollywood (– quoted from “Us Weekly”). She got to eat almost the whole day, by eating much smaller portions throughout the day. This diet is linked to many other Hollywood celebrities. 2…. Gwyneth Paltrow - I often suspected that Me Paltrow did not need to diet at all, but with no surprise I found that she watches everything that she eats. She avoids any source of sugar or white flour, and generally follows a macrobiotic diet including vegetables, brown rice, and lean meats. She avoids eating any dairy products, and starts her days off with a yoga routine. 3…. Claudia Schiffer - Me Schiffer is a naturally beautiful woman, and 100% German. What we don’t know is that she only eats steamed veggies for dinner and fruits strictly before the afternoon. While away from home, she sticks to snacking on black grapes, and drinking tomato juices and tea. She is not a serious meat eater, but she does eat the occasional meat, fish, or poultry dish. 4…. 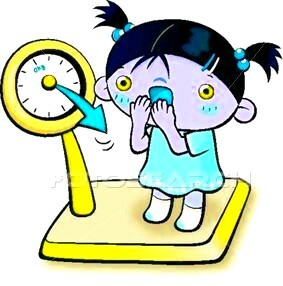 Oprah Winfrey - Celebrities like Oprah Winfrey believe that not eating after 7 p.m. is what helps to reduce the weight. There are no studies to prove however, that eating late at night causes weight gain. 5…. Madonna - This material girl is known for working very hard at looking her best, and not only dances her routines to keep in shape, but she does Ashtanga yoga, and follows a fairly strict diet. She shunns junk food, and her diet is macrobiotic. It consists of organic foods, and foods rich in lean protein. 6…. Kate Hudson - Me Hudson gained a whopping 60 pounds during her pregnancy, which was frowned upon immediately in the celeb world of gossip. This most likely gave her an incentive to get rid of it in less than four months. “How?”, you ask? She went on a high protein diet eating smaller meals more frequently throughout the day that were high in protein. She combined this with a regular exercise program including weight lifting and cardio. In the process she gained a fantastic bonus: some amazing abdominals! 7…. Angelina Jolie - Angelina Jolie, like most actresses, prepare for the roles she has coming up by training and sometimes by dieting. While getting ready for her role in Tomb Raider, Me Jolie went on a special diet for a few months. She ate steamed sea bass or steamed beef and vegetables. She avoided sugar and only drank soymilk. Generally she exercises portion control. 8…. Jennifer Aniston - Known as having one of the sexiest bodies on television, Jennifer Aniston follows a diet called 40:30:30, or also known as the Zone diet. The diet consists of 40% low glycemic carbohydrates (vegetables, beans, and fruits), 30% lean proteins (fish, poultry, tofu, beef, and low fat fairy), and 30% essential fats (nuts, seeds, and olive based oils). All make for a macrobiotic diet to keep weight low, as well as for proper balance of hormones. She lost 30 pounds on the diet. 9…. Pamela Anderson - She is a vegetarian who avoids red meat, chicken, pork, fish and seafood. She is in fact a vegan, which means that she avoids dairy products, eggs, and any animal products. She also eats organic foods and uses an herbal and vitamin regime. 10… Christie Brinkley - Christie Brinkley (an all American model) keeps a healthy diet by being a vegetarian. She has absolutely no junk food in her home, and this helps her avoid any sort of temptation. When she needs to lose weight quickly, she resorts to a liquid diet, but still snacks on sweet potatoes instead of chips or chocolate bars. Britney Spears - She has a personal trainer, and loves Red Bull energy drinks, Starbucks Frappuccinos, Marlboro Lights and Cheetos. If you know anything about Britney it's that she has a fetish for fast food. Britney's personal trainer tells her to eat regularly, limit starches, increase proteins, and be careful to eat correct portion sizes. She eats fruits and vegetables and rewards herself from time to time with pizza. Britney has an exhausting schedule so eating healthy helps her to be able to keep up with what her day demands of her. from A-Z, they all have a plan…. Adriana Lima - a portion control diet and eats lots of Brazilian food. Aisha Tyler - a balanced diet without any specific diet. Alanis Morissette - used to be a vegetarian but now just follows a balanced diet with just a little meat. Anna Kournikova - follows portion control. Anna Nicole Smith - Trim Spa. Ashanti - the maple syrup diet and the Master Cleanse diet. Bette Midler - the South Beach Diet. Bill & Hillary Clinton - South Beach Diet. Courteney Cox - the Blood Type Diet, the Atkins Diet, the Carbohydrate Addict's Diet. Fergie - the Vinegar and water Diet made popular by Lord Byron in 1820. Hilary Duff - She avoids pasta and potatoes and limits bread if she knows she wants dessert. J-Lo - cuts carbohydrates from her diet and basically eats almost everything, only in moderation. Lindsay Lohan - a low-carbohydrate diet with portion control. Madonna - the macrobiotic diet - plant-based proteins instead of animal-based proteins. Nianell - (SA singer and mother of triplets) regularly eats small portions of healthy food and exercises! Paris Hilton - claims she is not really on a diet. Sarah Ferguson - the Weight watchers diet. Sharon Stone - the Sugar Busters Diet. Tori Spelling - the Sugar Busters Diet. Whoopie Goldberg - the Slim Fast diet. Do you want this information at hand, at all times, we now have selected information available regarding the following: Wardrobe-planning, Figure analysis, The little black no., How Simon Rademan lost 35kg, and The Elements of Fashion.